This is just a thumbnail, Video has been embedded below. This is the title of my poem published in a combined book project of Obheal and Cork City Libraries of the Book titled as, “A Journey Called Home”. I wrote this poem in the context of being an asylum seeker in Ireland and waiting for a decision on Asylum Application for a long time and in some cases it has been over ten years before any decision was made. How an asylum seeker can feel while waiting in the state provided Direct Provision Accommodation for the decision on his asylum claim. I am sure many of us can relate to the feelings I expressed in my poem. I am grateful to Cork City Libraries, Obheal and specifically my Mentor, Respected, Mr Paul Casey, Obheal‘s founder for encouraging me and guiding me through all along. Here is the poem for your kind reading and I have also embedded the video for the same poem as published by Obheal on their youtube channel. in the cabinet of the justice office. the threads of my life, as they depend on that file. Feeling as if no one is standing by my side. love, feeling, sense and a mind. It’s just a story, it’s Just lies and I am just a file. 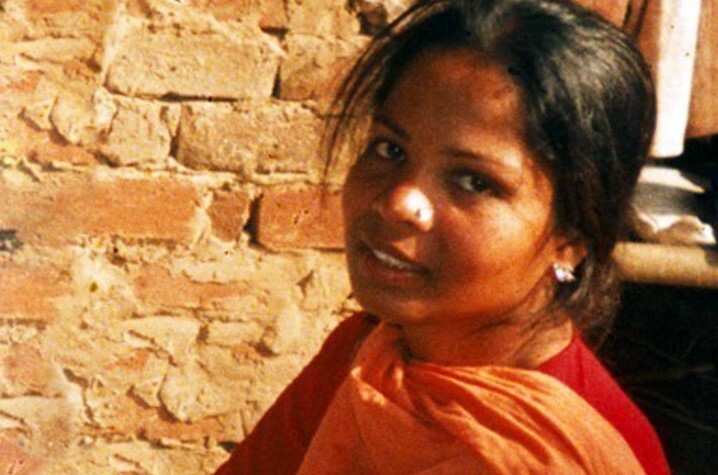 There is an eruption of protests all across the country against the recently announced final verdict in the Asia Bibi’s case by Supreme Court of Pakistan. As a Pakistani living abroad, it concerns me on many levels. First of all, this notion that the charge of blasphemy is bigger than the blasphemy itself, which is being conveyed to the international community by the protesters and the ones who are leading these protesters. Secondly, These protests are quite telling of the fact that as a nation Pakistani nation has not grown a bit. They have not analysed the situation with a rational mind but instead followed their emotional instincts and irrational leaders without giving it a second thought, came out on the roads and started burning their own properties. What are they doing this for apparently? for the honour of their beloved Prophet Of Islam. 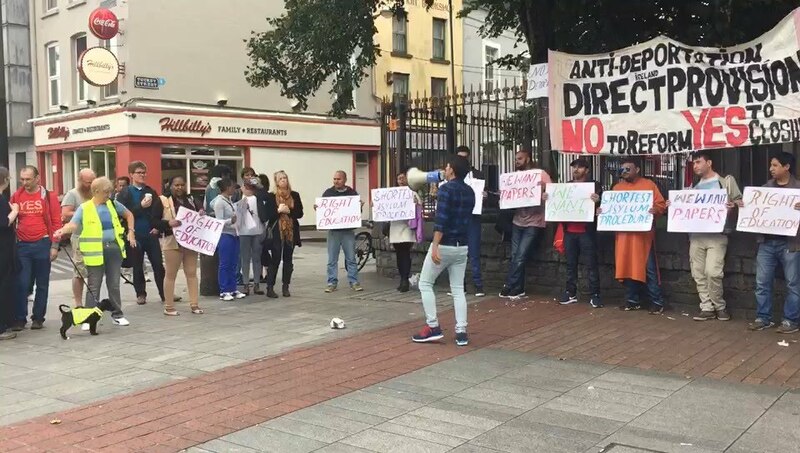 But in actuality they succumb to the wishes and desires of the organisers of the protests who are actually banking upon the number of the protestors, and willing to make money out of it. The kind of Islam which is being promoted by Maulana Khadim Rizvi and the likes of him is an Isam which gives him the authority to use, vulgar, dirty and abusive language for anyone he dislikes, but apparently he gets away with it on the pretext of doing this for the sake of honour of Islam or the Prophet of Islam. How on earth can an abusive and dirty language be a reflector of the respect and reverence of the sacred personalities of any religion or a good character of the one using such a language? I cannot understand how the Pakistani nation justifies, following such a person whose language is sheerly appaling and abusive, who has no regards for the norms of civilization or general ethical standards. And what notion they are following? 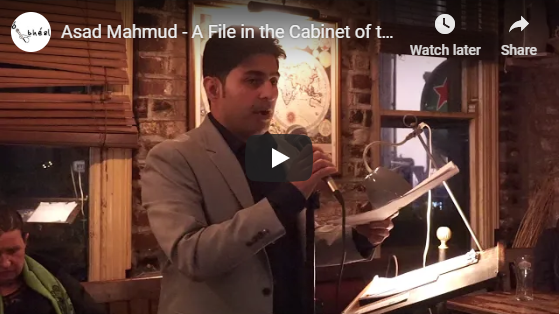 "If someone has been alleged to be a blasphemer, he or she should be killed, without even requiring any evidence or asking for any proof for the alleged crime." What was Asis bb’s case and how she got acquitted, I am not going into those details, you can read all about it just by googling it. I am just shocked to see the reaction of the Pakistani nation and giving my point of view on that which I thought was necessary to be given. This call of protest has been made by Tehreek e Labbiak Pakistan founded by Maulana Khadim Hussain Rizvi. one compilation of the abuses sprouted by Maulana can be seen in this youtube video. No one dares say anything against him because he has a big following of thousands of emotional devotees. This can in no way be deemed acceptable as he is using the shield of religion for justifying his abusive language and actions. Now as you can see this person has a crooked and twisted (excuse my language now) personality and reasoning, apparently according to his standards anyone who has been charged with the crime of blasphemy is liable to be killed without any proof. He is the one who praised the killer, Mumtaz Qadri, for assassinating the ex-Governor of Punjab, Salman Taseer, whom he was supposed to protect as a guard. The reason for killing was supporting Asia Bibi and requiring the blasphemy law of Pakistan to be more stringent with regard to the requirement of proof for such a big allegation which is punishable by death. This guy Khadim Hussain Rizvi praises the killer of Salman Taseer because he did the right thing according to Khadim Hussain Rizvi's own point of view, which is killing without any proof for safeguarding the honour of the Prophet of Islam. Now when it has been proven in the court beyond any doubt that no blasphemy was ever committed by Asia Bibi, this guy wants all the judges of the supreme court to be hanged. Why any sane minded person would like to follow such a person, just because of his claims that whatever he does, is for the sake of Islam, is not sufficient enough justification to commit foolishness of such a level. The whole world is getting this message that the Pakistani nation is an emotional nation bereft of any ability to analyse the situation with a calm and rational mind. This countrywide row of protests against the state is just a mockery of the system by a person who claims to be the protector of the honour of Islam and the Prophet of Islam, whose (Khaidm Rizvis's) personal moral standards are not above board. It's sheerly, truly appaling and unacceptable. These protestors either want that the blasphemy should have happened or they want the charge of blasphemy to be treated at par with blasphemy itself. I am greatly disappointed and ashamed of such kind of behaviour of the nation of Pakistan. It's very relieving to know that Ireland is on the way to abolish or at least intending to abolish the blasphemy provision from its constitution. About the Irish Blasphemy, You can read the details from many recently published articles, for example, this one or this one but I would like to look at the blasphemy law from my perspective. How I felt while living under the regime which was very efficient in implementing the blasphemy laws. I am referring to Pakistan here obviously. The environment of a country that is driven by the laws against blasphemy is totally different than the one which is not. Why, because everybody has this sense prevailing in the back of their head that their any unintentional action or word can also be construed to mean blasphemy even when it is not. I would quote a few examples here, first of all, my personal one, when somebody like me comes out and expresses his opinion openly that sexual abuse of the religious students in the religious schools by their own teachers, is not right, is construed as blasphemy. 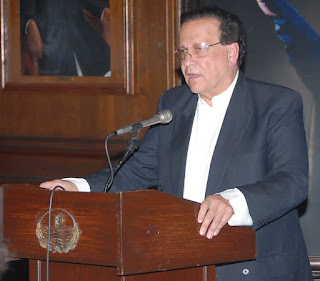 Secondly, When the Ex-Governor of Punjab, Pakistan, Salman Taseer, was murdered just for pointing out the fact that the blasphemy laws of Pakistan were not drafted properly to give room to the detailed investigating process, he was considered a blasphemer and was murdered by his own guard. His own guard killed him. This is a blasphemy driven mindset. Thirdly When a student of Abdul Wali Khan University, Mardan(Pakistan), was murdered by a mob of religiously charged, blasphemy mindset driven crowd, in the broad daylight, in the college ground, in front of hundreds of spectators, with mobile videos as a proof of their novel deed, due to a mere allegation of blasphemy, which later was proved to be false, is actually referring to the point where you reach when you are driven by false sentiments of blasphemy. Here, let me clarify myself that I am not saying, we should not respect religions, I am not at all saying that, but criticising any harmful practice of any religion should not be construed as blasphemy. It is the development of civilized culture which develops with a thought process and by pointing out the flaws in various cultures. Blasphemy driven mindset can never leave enough room to let the civilized norms nurture through discussion or a thought process and the brutality which comes as a part of this blasphemy driven mindset is one of its own kind when committers of crime actually think that they are doing some novel deed and they have the right to punish anybody who thinks otherwise or alleged to have thought otherwise. I would never want to see such an environment in Ireland. It is such a lovely nation and beautiful country. People don't care about small petty issues. They have a tendency to forgive small mistakes, they are welcoming of new cultures and religions. They are very hospitable and open-hearted. I would never, ever want to see such a lovely nation to be driven by any of the sentiments of the likes of blasphemy mindset. And fortunately, we (If you allow me to include myself with you) have this chance to say yes to the upcoming referendum of blasphemy on 26th of October 2018, where Irish Government after almost one and a half century of its inception from the common law and then creeping into the constitution of 1937, is trying to get rid of it. This is our chance and if this time we don't succeed, we might not get this chance again. And believe me, there are many forces out there who are trying their best to win a no vote to keep it a part of our constitution. So I would request you to please get rid of this blasphemy driven mindset and take a leap forward and stand in line with topnotch civilised nations on the planet. We are civilised already but this little bump has the ability to become a roadblock on the road to achieving the epitome of civilised norms of the Today's world. I vote yes for the abolishment of this provision from the constitution of Ireland. Are You With Me? Would you believe that I don’t know about you but I did not believe it like at all. I did not think there was any bias in Ireland for asylum seekers. I really have loved Ireland and Irish people since my arrival here and I still love em. Never even found or I must say, noticed any hint of bias in the people around me against myself. But now I think, the people around us in the asylum centre are mostly from the NGOs who have refined attitudes and I did not have much experience of personal interaction with the general Irish public at large. But this fact dawned on me because of people’s reaction to one of my articles, specifically the last one. Isn’t it strange that while you are discussing the prevailing bias targeted toward a class of people, you become the target of the same? Earlier to my personal knowledge, I was of the view that the statistics offered by various NGO’s about the prevalence of a biased environment against the asylum seekers actually did not reflect the reality on the ground. But lo and behold, I wrote about it, people reacted to that and proved me wrong. I would still look at the brighter side of the picture, think about the people who read the article and did not react. They are far greater in numbers than the ones who reacted to it negatively. That’s a good and positive thing. Because of some negative comments, I cannot paint everyone with the same brush. Let’s get into the comments I received and how I received, whereas there are no visible comments on this website under my previous article other than the Roos’s one. Actually, I always share my articles on a social platform, social platforms are crucial if you want to reach a bigger audience. So in order to reach the Irish audience which is my main focus, I post my articles, in the Irish branch of that platform, in order to convey my message to the Irish Public generally. People have varied perspectives and portray their views in the shape of comments on my articles. It gives me a good general idea of the perspective of the public at large. 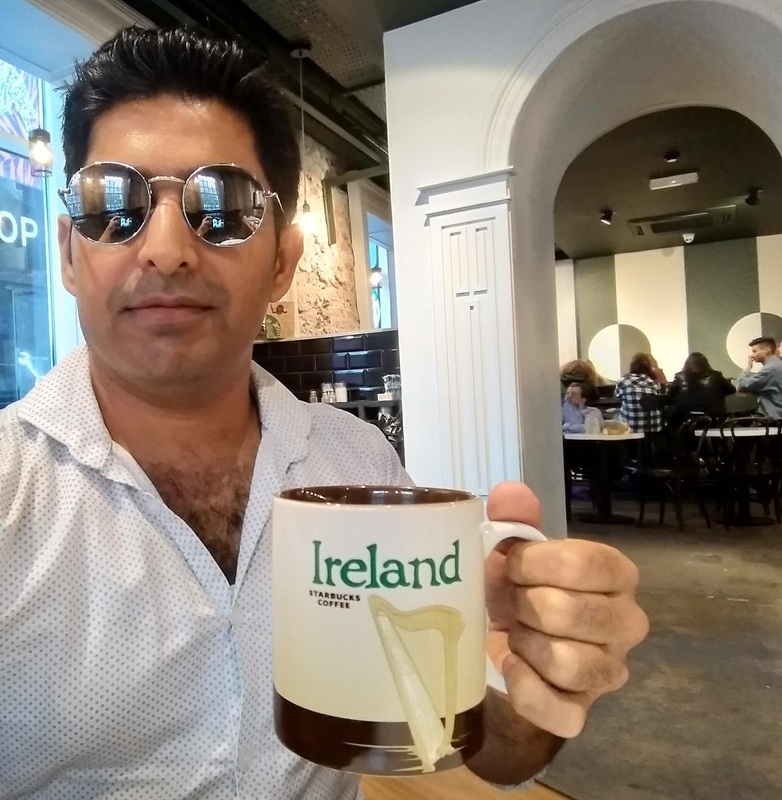 So, in the previous article, I mentioned the incident that happened with a Pakistani Irish, whose application for residency became a victim of professional negligence by INIS, as he said so. I shared that article on this social platform, I would not mention the name the platform or show the names of people who commented on my article. My purpose is, again, not to defame but to educate and inform. So when I shared my article about that negligent treatment of that Pakistani Irish by the professional staff at INIS, I got very sharp-edged responses from Irish Public. I like when people criticize because discussion actually builds over criticism and development of thought is based on criticism. Another good point about it that people read your work and then give their opinion. So you are being read and responded to, based on your work. This guy is telling from his own experience of working with Pakistani guys in Dubai. I am not gonna defend Pakistanis here, I am not their spokesperson but I am just saying a few things in response, going to Dubai for work is another thing and seeking asylum due to a danger faced by someone is another. I would say every case is assessed on its own merits by Justice Office. No one is sitting there to grant asylum for economic reasons. If someone has an economic case that will be judged by Justice office and as you already know very strictly. This guy is a real fan of mine. He follows me around on that social platform and whenever I post something. He gives his invaluable articulate, educated and learned opinion on that, even when I don’t ask, as you can see here as well in a very eloquent way he ventured his emotions. After this kind of comprehensive remark, I am at an extreme loss of words to respond to him as intelligently as he did, so let us leave this genius alone and read some comments from ordinary class ( I mean the normal people). These comments actually portray the general impression of the Pakistani asylum seekers among the public of Ireland. About the sham marriages, you cannot deny the fact that they are not completely frivolous or far from reality but they are not the complete reality as well. Not every Pakistani or an asylum seeker is deceptive, playing games or into sham marriages. And not every marriage is a sham marriage as well. There are women who found their true life partners and there are men who found their soul mates, even from the asylum seekers class but it does not eliminate the fact of them seeking asylum due to security reasons. They found someone, can be called a stroke of luck, no one can be stopped from falling in love with someone just because he or she would be misjudged for doing so, “it’s just for Nationality”. The one who is marrying an asylum seeker also knows this fact, of him/her being an asylum seeker, but would you blame them for choosing an asylum seeker over a national? I don't think so. You can’t give a generalised statement about everyone, and discredit them. There has been a time in the past for Irish, and that time has not washed off completely when they were badly misjudged by Britons and Americans. Let’s just read a few news items about that time and current times as well. These are a few snippets about the misjudgement of the Irish by the all-powerful class of nations. Now, has the situation completely changed? I don’t think so, the situation for Irish moving to the USA is still cannot be called ideal. As of now in recent times like in 2012, Irish Times reported and detailed the situation of recently immigrated Irish citizens to the USA. The ratio of Irish citizens moving to USA was increasing as per the same news item. I consider Ireland a developed, first world country and it is a first world country, there’s no denying that but there were hard times for Irish as well, during those times and even now, they were and are being misjudged, which is not correct or right. They should be given every opportunity to improve their lives. But there is a great difference in seeking asylum and moving to USA for a better future. Irish, moving to USA, can come back any time as they are not faced with life-threatening dangers, but asylum seekers including Pakistanis are running from, dangerous situations and conservative societies, at least for Pakistan I can say that if you don’t fit well with the narrative of Army, executive or religious authorities in Pakistan, you can be killed without a second thought as if your life has no worth. I am not defending anyone here, but speaking for everyone including, my Irish national brethren, whom I consider my own nation, that this environment of misjudgement should not come in the way of development of the Human Race into the right direction. We have to cut down the divides and build bridges where saner minds should prevail. There is no doubt that an environment of bias exists for the asylum seekers in Ireland as independent has also reported the instances of misjudgement of asylum seekers but we can overcome this environment by working for it, in Ireland for others and in USA and Britain for Irish, why not, let's start it from today, let's start it from home, let’s start from my beautiful country, my amazing land, Ireland. Shocking but true, yes this is a story narrated by a Pakistani Irish citizen about himself, how he was denied the extension of his leave to remain on the basis of his marriage with a Lithuanian lady. How the bureaucracy played a very unfair game, just to deny this guy the extension which he deserved rightfully. This article (I have given the link below) is very nicely written and gives out a lot of information on the subject of the extension of the leave to remain and what remedies can be availed. What this guy did when he was in trouble, how he was misled and how eventually he found out a way to find out about the game being played by the bureaucracy. 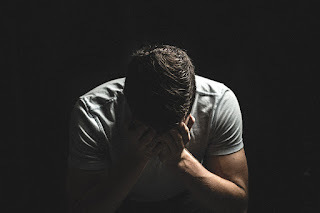 How he was unable to retrieve the information about himself from INIS and how he was able to force the same authorities to reveal the true situation about his application for extension and permanent residency. 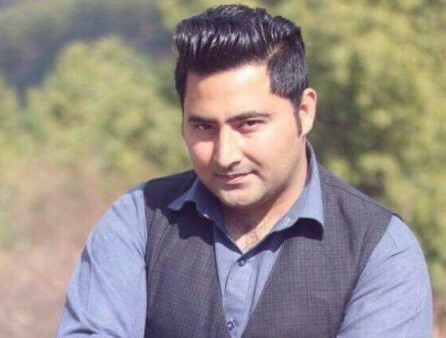 Bureaucracy is so strong in this country that this Pakistani guy whose name is Ali and his Lithuanian wife were on the brink of being deported back to their native countries. His file went up to the minister on the appeal stage where bureaucracy was able to manipulate the minister to believe that there was something missing in the file whereas it was not the case. This story is also telling of the fact that some specific classes of people are generally treated that way. According to the information acquired by Ali, Pakistanis are generally treated badly by the high ups in the government offices. I can relate to Mr Ali in the sense of being treated ill by some authorities Irish Authorities, I would like to refer to a few incidents happened with me which could be connected to this sort of treatment with Pakistanis specifically. One of them is just ongoing where I am being denied to sit in an educational institution on an Irish fee as per the rules set out by the Justice office. Which you can read here. Another incident happened with me at my interview for asylum stage where I was discredited on the basis of a document issued by the state administrative office of an EU country. I mean letters issued by the state administration offices of any EU country are the most trustworthy documents, specifically when they are numbered and dated along with all the contact details of that office for confirmation purposes. If such kind of a document is looked at with suspicion, this sort of attitude can be construed in many ways. I don't know this kind of behaviour is targeted towards Pakistanis only as Mr Ali assessed the matter or it is general behaviour towards everyone without discrimination. I mean if humiliation is done without discrimination, even then it’s not right but if it is targeted to a specific class of people then it's the worst form of it. The original account as narrated by Mr. Ali can be read here. You would not believe how I have been dismayed by one of the very famous institutions in the county Cork. My status of being an asylum seeker made them so uncomfortable that they did not accept me on an Irish fee. I am not gonna name the college here as the purpose of this blog is not to defame anyone but education and information. This year I applied for two courses at the same time, both of level 5, one was IT maintenance in commerce college and the other one was software development in an unnamed college. The test for both of the courses consisted of four papers including maths and English as well. I passed the test with high grades and was appreciated by the testing authority and offered a place on both of the courses in both of the colleges. But by the stroke of luck through an ad in the newspaper, I learned about software tester course in the Cork Training Centre and I joined that before even I was called for the pre-test for the above mentioned two courses by the above mentioned two colleges. So at the time of sitting in the pretest for above-mentioned courses, I was already a student of Cork Training Center, thankfully. Can I access further education and training? As per this information I was eligible for education in a level 5 course for free or on Irish fee but I don’t know what prevented the unnamed college from giving me admission. I was admitted to Cork Training Center with no questions asked and totally free. I was given admissin in the Cork college of Commerce with no questions asked in a level 5 course in IT maintainance but I liked software development more than IT so I thought I would join that one in the unnamed college and got my name removed from commerce college. But Lo and Behold, the unnamed college did not give me admission at all on an Irish fee.I protested vehemently with a kind soul in the management of that college. As of now, she is trying hard to check the possibilities of me being allowed to sit in the class on an Irish fee as per the rules of Justice office. It’s 11 September 2018 today, let’s hope it goes well and she finds a way for me to be allowed to sit in the class. These are the hurdles which we face on daily bases, though I am in Ireland for over three years now and I am a legally resident person as per the EU directive Article 2(2). As per the Irish Law from the revenue website of the Irish Government I am an ordinarily resident person. If you have been resident in Ireland for three consecutive tax years, you become ordinarily resident from the beginning of the fourth tax year. So I have accrued some rights by legally residing in Ireland and by getting the labour permission enhanced the level of those rights but still do always remember, you are an asylum seeker and it's better if you keep your mouth shut and wait for the authorities to take pity on you. The guy who got us the work permission by filing a law suit in the court. 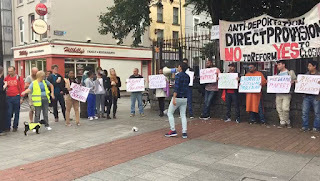 remained without work for over eight years in Direct Provision. 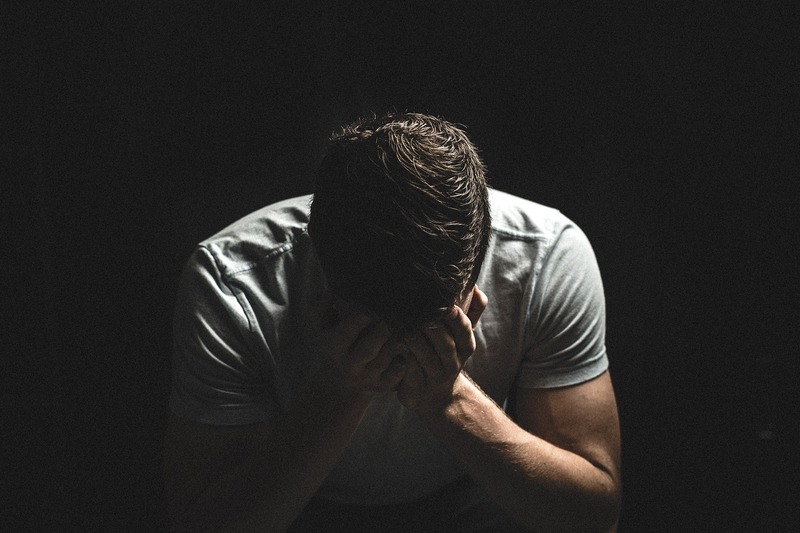 He said that while in the direct provision on a €19 weekly allowance, he suffered depression and loss of autonomy and being allowed to work was vital to his development, personal dignity and “sense of self-worth”. But I presume still there is a long way to go before we could expect some positive decisions from the authorities. Roos Demol, a magical, influential lady. Though I don't know much about Roos because of my disconnect with the social group that has been formed due to the philanthropic and human-loving efforts of Roos Demol in Kinsale Accommodation Centre. But I would love to tell everybody what amazing is the little that I know about her. The tireless efforts of a lady who is in her fifties, whose age may have been able to affect her body but not her rock-solid ambitions of helping the needy. The little I know about this lady is that she is not an Irish but natively a Belgian yet resident in Ireland for some time now. When she started visiting our centre initially, I considered her as one of those NGO people who visit our Accommodation for the sake of formality. You know it's a brilliant idea to pay visits to any asylum seekers hostel and distribute a few brochures, with the useless information about their rights so that the NGO could mark an activity in their profile and legitimise the funds they received or would receive from their donors. This happened a couple of times with me since I came here, for example, there was a group of ladies who came to our centre with the idea of Dance Therapy, but in fact, that was a kindergarten class activity like telling children's stories, acting weirdly using small children's props but I suppose they got funded for wasting adult's time. Only I and my friend signed up for the class and suffered badly two times when we dared to attend their class. It was conducted in our kitchen hall and was really embarrassing to be behaving like children and watching people passing smiles at us. Another time when Noman, my friend, and I got some brochures, distributed by some social body's people for free First Aid training and other similar small trainings, we decided to give it a go. We called at the given numbers on the brochure, initially they told us that we called very early for the training classes, later they said, the courses we were looking for were being taught in the other campus, when we called, "The Other Campus", where the main person we were supposed to talk to, was away. But they were very efficient. As soon as we called, they immediately noted our names and numbers with the promises of calling us back. But obviously, we never heard from them again. Some NGO's (not all), set up offices and hire staff, just to present a picture to the donor groups, persons or companies, that they are really established NGOs and seriously involved in the business of social work, whereas they are not, its all artificial set up just to get funds for their made up projects/schemes. 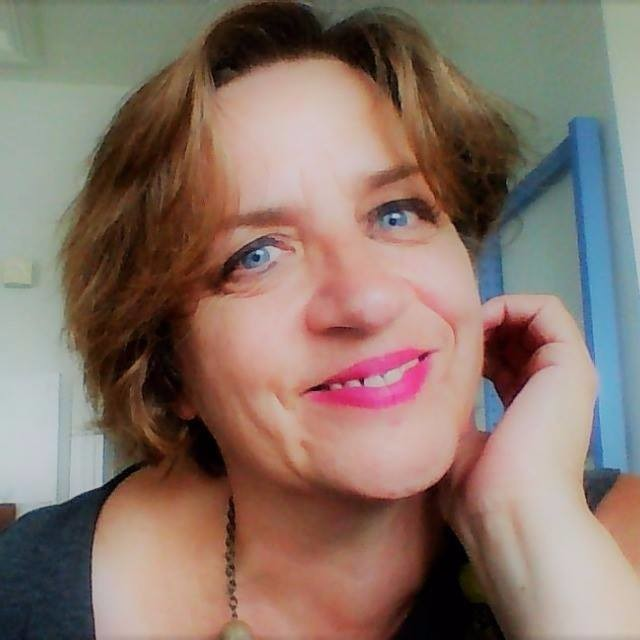 Anyhow, coming back to our own Magical Lady, Roos Demol, when she initially came here, she met me as if she knew me for years, with a broad smile on her face and tender tone on her lips. I really thought she was just like any other NGO person. She actually offered me to join a music class which was being set up just because of the efforts of Roos Demol, which I did. She brought Guitars for every student of the music class, I also got one, I could not continue the class for long due to the wide span of my activities, I was busy on many fronts at that time, with Fine Gael for my interest in Political activities, with my other educational endeavours which I was trying to start at that time whether it be in Law which was my area of studies or in Web Development which was my area of interest. She arranged the Music teacher, she talked to our management for providing a separate room for the music class. All of this done with the pure intention of empathy, selflessness and no expectations. I did not see this going far at that time. But the iron lady she is she kept coming back, though she was struggling for a place to stay at that time but this struggle did not in any way hamper her philanthropic efforts for the residents of Kinsale Accommodation. On every visit to accommodation, she brings bags full of clothes for men, women and children, other than that if anyone is in need of anything, he or she can ask Roos without any hesitation and she would launch a campaign with her circles for the provision of the same thing. She is not shy in asking for charity stuff, for the asylum seekers. "To me Roos, she is everyday Santa since Santa only come for Christmas"
"She is one in million." "Woman of strength, Roos, well done." "Wow! awesome Roos, she is a sunshine in winter season for asylum seekers and mankind. Power to her"
People just love her. At the moment Roos has actually developed a team for herself, she started her work from scratch, but now she has a team of trained musicians who have already conducted a successful fundraising musical programme and it was unbelievable to see that every participant in the musical show was an asylum seeker. She invited the civil society, other NGO's and her friends to attend the Musical Fundraiser Programme. 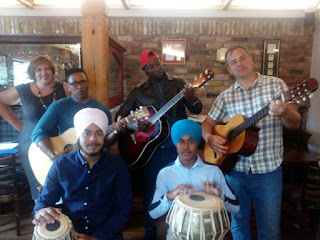 I attended the event and was mesmerised by the performances of the artists, who all were asylum seekers from my own accommodation centre. She came with nothing but she built an army for herself. She raised good funds that day and as of now, I suppose she would be in Limerick for another fundraiser programme of the same nature for MASI (Movement of Asylum Seekers in Ireland). People of her age usually only struggle with the health issues but her age is shying away by her firm determinations to work for the deprived class. This is really commendable. I really got impressed so I thought to pay a little tribute to her in my blog. Indeed, she is an example for many in Ireland, who don't want to work but blame the asylum seekers for taking up their jobs, whereas asylum seekers were not even allowed to work previously. I salute to the efforts of Our Secret Santa, our own Roos Demol and I wish her the very best of luck.